We love the trend of combing live edge wood and resin to create some gorgeous statement pieces for the home. 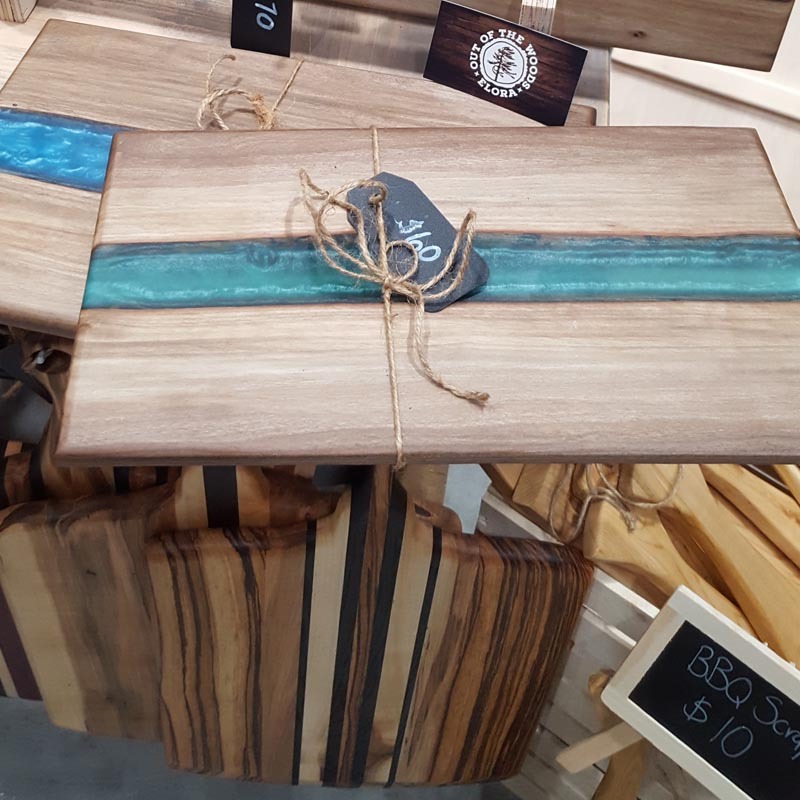 And while replacing your kitchen table or coffee table may not be in the budget right now, why not try a wood and resin serving board. It is a perfect and affordable way to try out this gorgeous trend. The beauty of the natural live edge shining through the resin and a look that won’t be going out of style any time soon. Also make a great statement for your next outdoor barbeque, or craft beer charcuterie accompaniment. Keep your board looking great with an occasional proper oil or beeswax rub. Currently sold out on their Etsy shop, but contact them and they can let you know when the next batch will be available. These boards are usually available through the Out of the Woods Etsy Shop, or at their various market shows. Click below to check out their shop, and contact the makers direct to find out when more will be available.